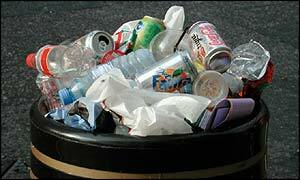 People who put their rubbish out on the wrong day of the week in Leeds could face a £50 fine. Council officials will be patrolling the streets of Headingley trying to spot residents who place bin bags on the street. Roads in the area have been surveyed over a number of days by the council and bin obstacles, graffiti and discarded needles have been found. If the pilot scheme is successful then it will be spread out across the city.